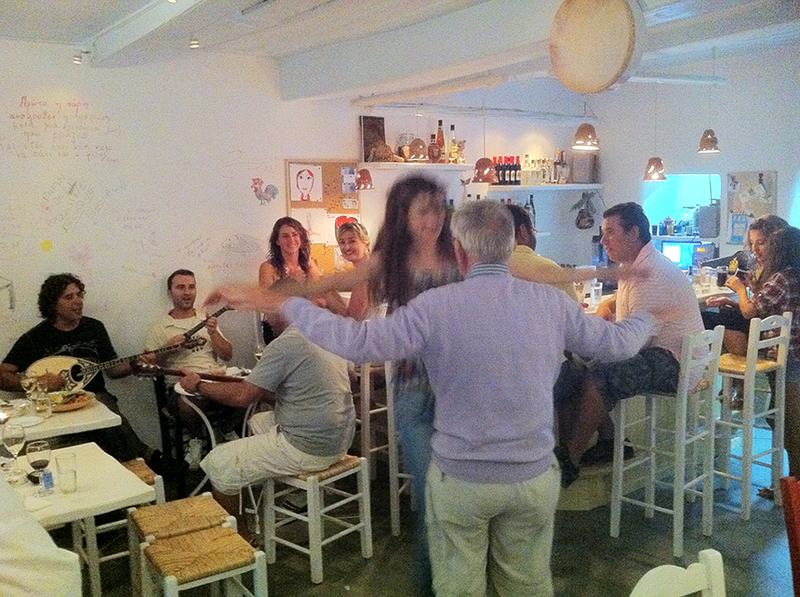 Initially, we were asked to come up with a name for this tiny bistro in downtown Mykonos. 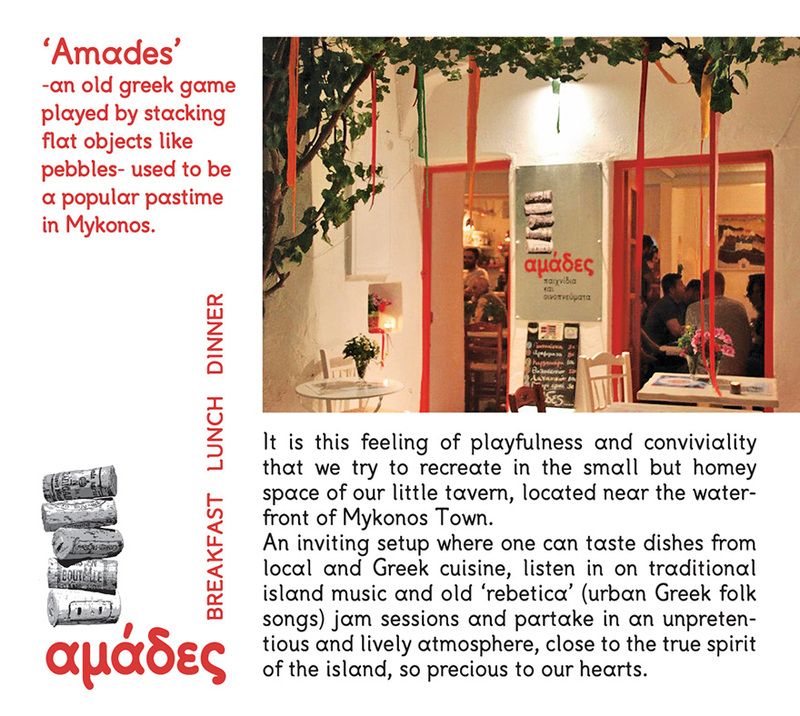 'Amades' is the greek word for a traditional game played by stacking flat objects such as pebbles. The logo is based on this idea, only using wine corks. 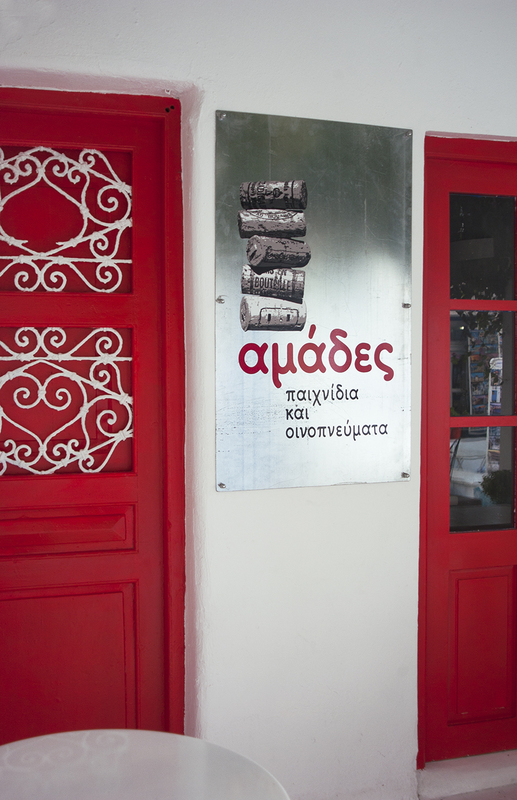 The new identity was applied on the front sign of the shop, the menus and cards. 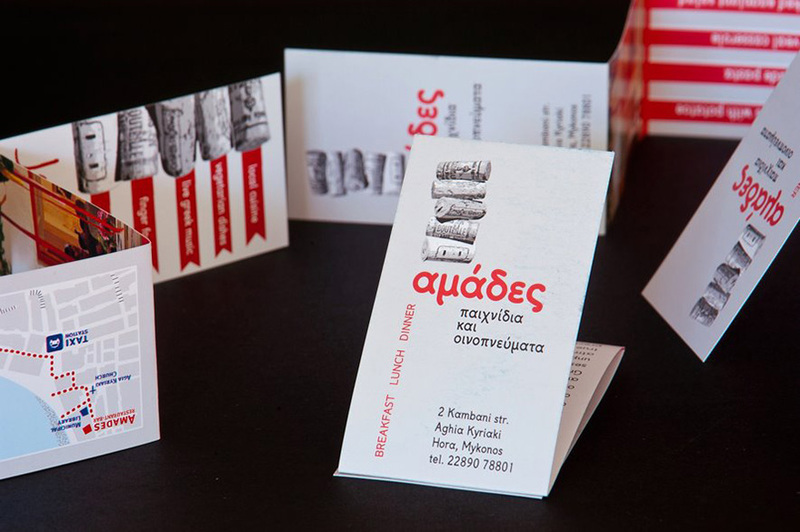 We also contributed to the original menu, by incorporating innovative local meze dishes which became classics! Project started in 2011. 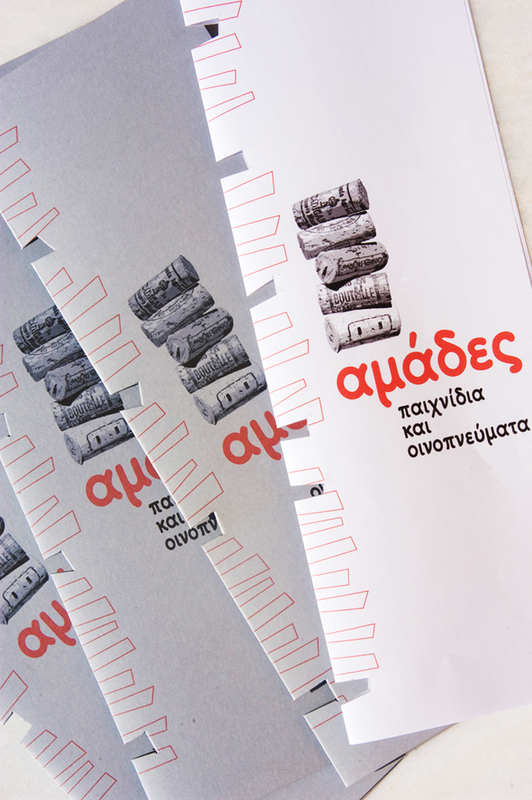 The menus, in-house production, each cut by hand. Small ad for local press.